What a difference a day makes! Last night I went to bed feeling quite annoyed with the long distance thing. 12 hours and a nice message later, I am still annoyed with the whole thing but I am feeling much more confident that the holidays coming up next week will be great. And since I live in a country where the temperature rarely goes above 25 (this week being the exception) and that I will be travelling to a place where the average temperature is above 30, I needed to do some shopping today. Now, I don’t want to generalize (too late), but like most guys I am not a big fan of shopping. I usually need a good incentive. Thankfully, I was in a much better mood today than yesterday. That helped. 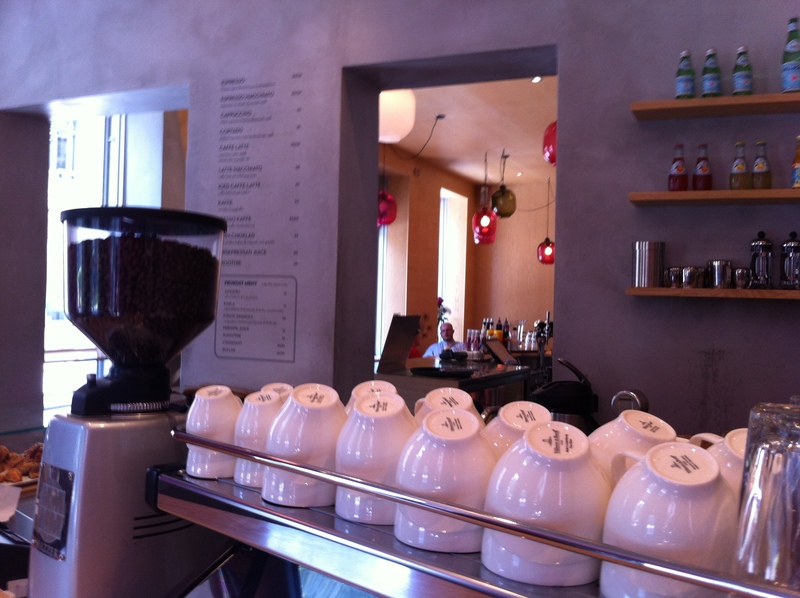 In addition, I had decided that I would pay a visit to Café Foam in Östermalm when I’d be done. Suddenly going shopping almost sounded like a treat. I first heard of Café Foam through Facebook. Actually, through some of my friends who live in that area and would regularly “check in” at Café Foam on Facebook. I was curious but never made the effort to go all the way to Karlavägan for coffee on a weekend. Well, that was a mistake. But better late than never! I really liked Café Foam: the staff was extremely friendly and they only spoke Swedish to me, even though the place was filled with foreigners (most Stockholmers are somewhere in the archipelago or at their stuga these days); the atmosphere was pretty good, even though most people were sitting outside in the sun; the coffee was great; and it looks like Café Fresco may have some competition on the carrot cake! Café Foam has a very nice menu from which you can order at the back of the café. In the short time I was there, I saw a lot of customers picking up take out. I would probably do that too if I’d live in Östermalm. 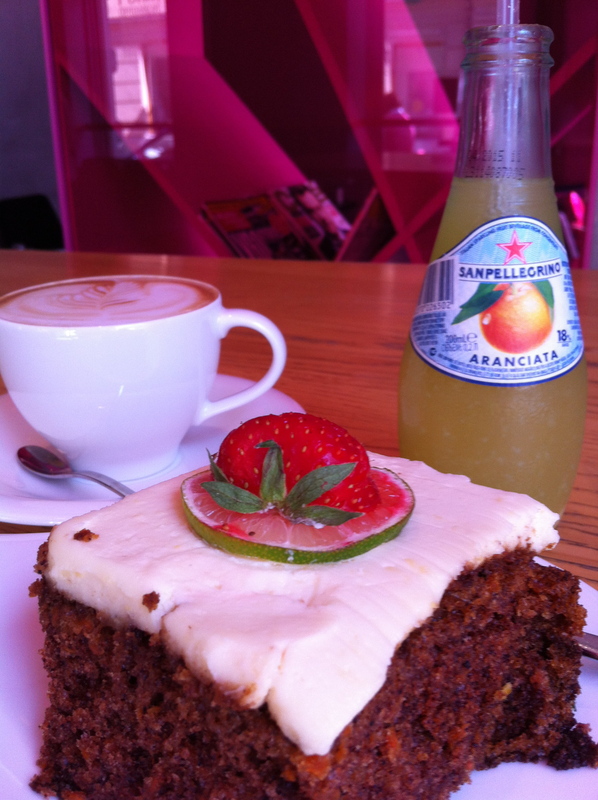 If one wants to avoid the temptations of the carrot cake and other sweets, one can order coffee at the front counter. However, this is not totally free of temptations as that counter also has some macaroons and bullar on display! 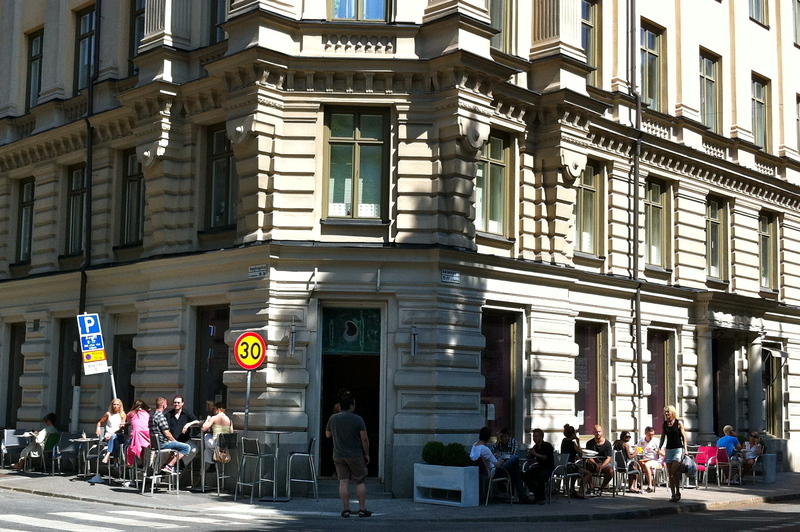 It is a beautiful day today in Stockholm and most patrons at Foam decided to take advantage of the tables on the sidewalk. With the café being right on the street corner and across a nice park, the outside option offers both tables in the sun and in the shades. 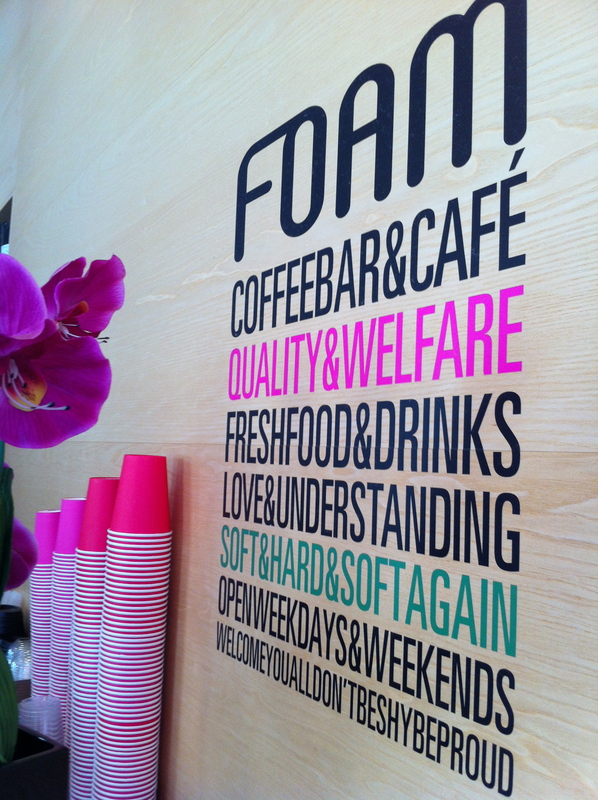 Café Foam is even open until 9:00 pm from Monday to Thursday, and until 7:00pm the other days. 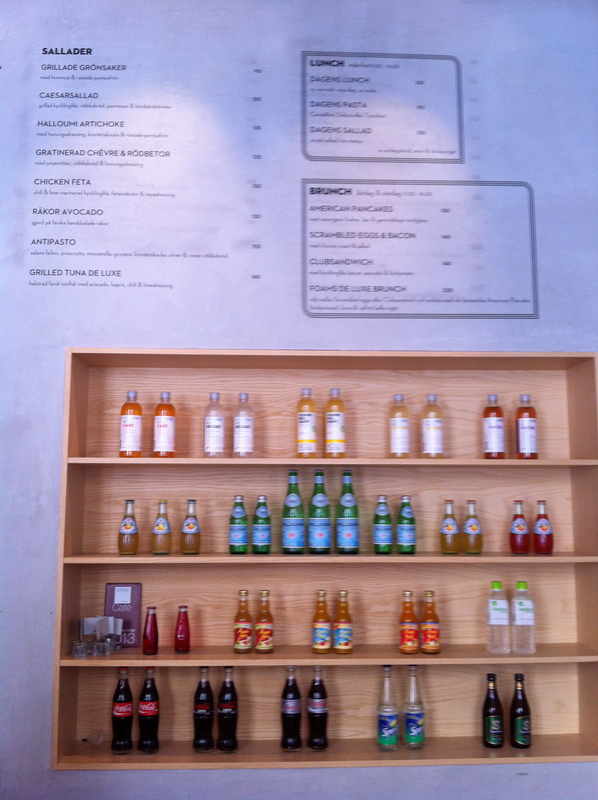 Really, everything seems perfect at Café Foam! Café Foam, Karlavägen 75, 114 49 Sockholm (Östermalm).